Our Integrative GPs are committed to providing the best level of care that combines a medical and holistic approach to help you get better. Whilst skilled in general medicine, our doctors take a Functional Medicine approach, a practice focused on underlying causes of disease, rather than symptoms. Our doctors are trained to know how to involve complementary and allied healthcare when needed to help improve your health over the long-term. Our integrative doctors and naturopaths work closely to share their knowledge of biochemistry, nutrition and herbalism, providing a greater platform for understanding the causes of chronic health issues. Combined GP and naturopath consultations are available in our Byron Bay medical clinic and Australia wide via Skype. Access the support you need Australia wide via Skype consultations with our integrative doctors and for combined GP and naturopath consultations. Book online or call 02 6685 6445 for an appointment or more information. 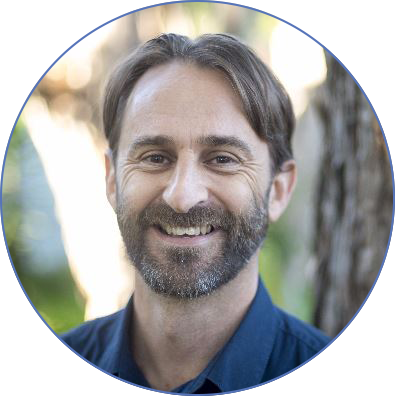 Dr Marcus Hewitson is an experienced GP with a passion for preventative medicine and unravelling the intricate world of complex illnesses to offer his patients relief and recovery. In 2011 his own illness experience led him deep into the world of functional medicine. Marcus utilises a holistic approach incorporating western medical, nutritional, environmental and integrative principles. He has special interests in wellness and preventative medicine, brain and gut disorders and complex illnesses. Initial consultations with Dr Marcus Hewitson is 50 minutes. He combines a comprehensive patient assessment with functional pathology testing to find and address the root cause of disease. Please bring all test and imaging results, any medications and supplements you are taking. Dr Marcus will go through all of these, and perform a detailed physical examination. Dr Oscar Serrallach’s patients benefit from his diverse experience and thirst to remain at the cutting edge of wellness medicine. A thirst that led him down the path of studying and practicing functional medicine, whilst addressing the multi factorial aspects of health and well being. He is a leader in the field of postnatal health and it was through the experience of his own family and the lens of functional medicine that he came to realise the huge impact that nutrition, lifestyle and the environment have on the postnatal period. Oscar has spent the past eight years devoted to the identification and treatment of Postnatal Depletion, which he suspects up to 50% of mothers suffer, to some degree. Read Goop's Q&A with Dr Oscar on Postnatal Depletion. Dr Oscar brings his knowledge and expertise on Postnatal Depletion and 4th trimester healing with the launch of his book The Post Natal Depletion Cure. Working exclusively with the team at The Health Lodge, Dr Oscar has developed a screening and treatment protocol that addresses the requirements of fourth trimester healing and provides personalised treatment plans for patients experiencing Postnatal Depletion.